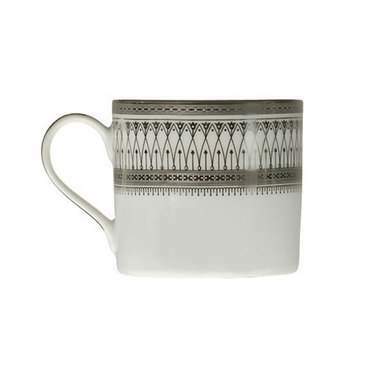 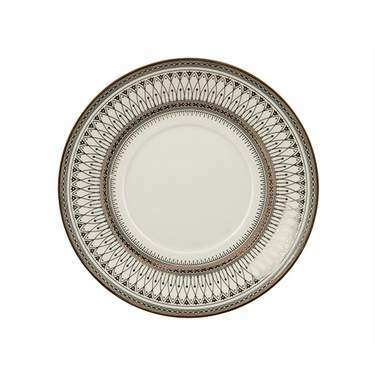 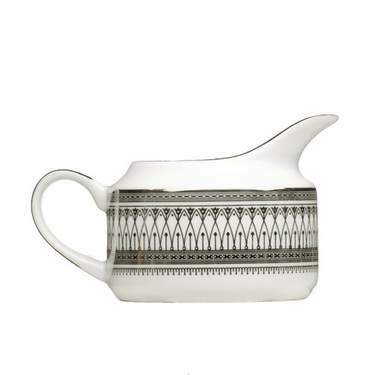 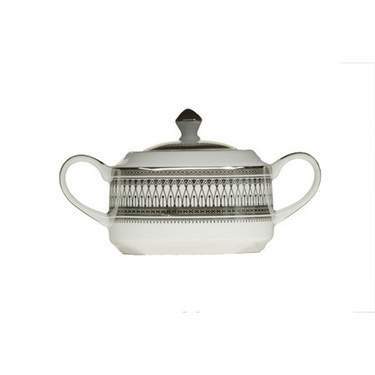 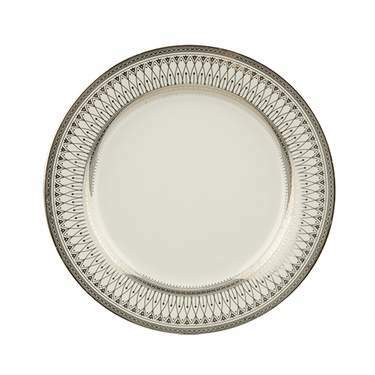 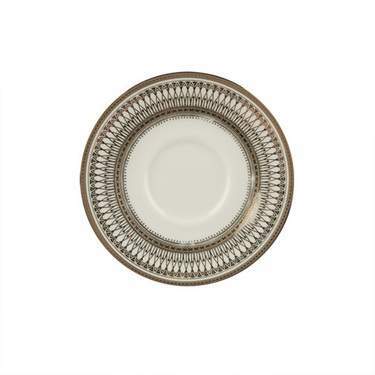 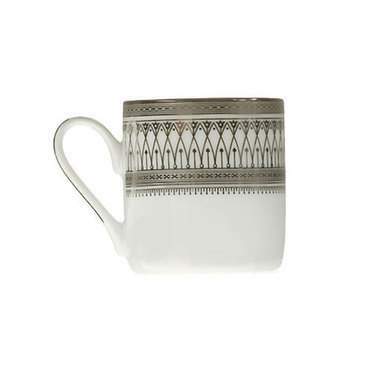 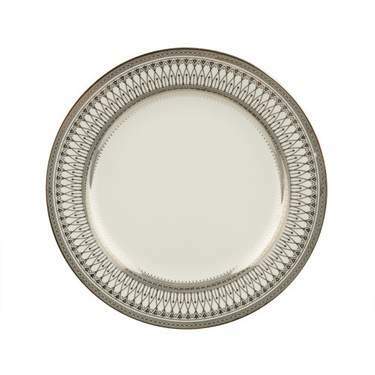 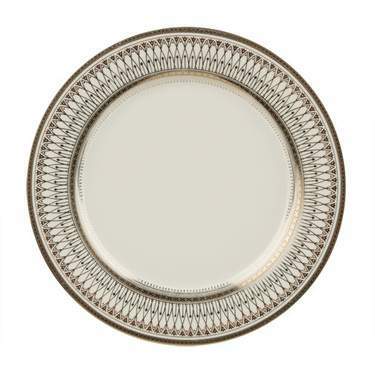 Dinnerware set designed with a delicate lattice pattern in silver. 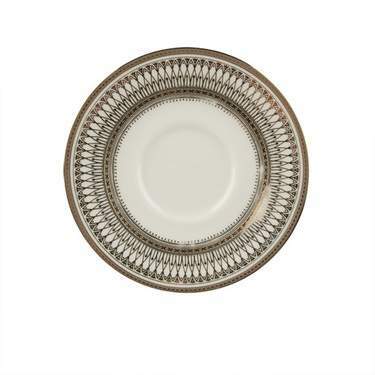 Adds a touch of elegance to your table. 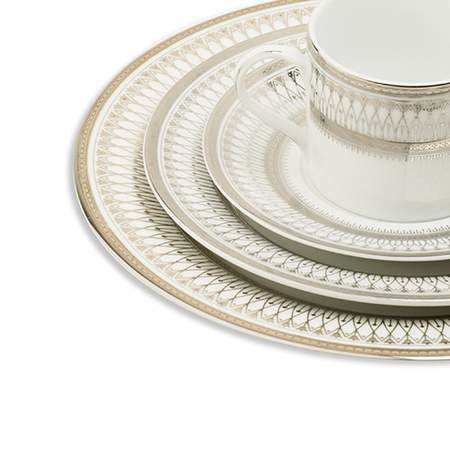 This set includes chargers, bowls, plates, saucers, cups, sugar bowls, and creamers.